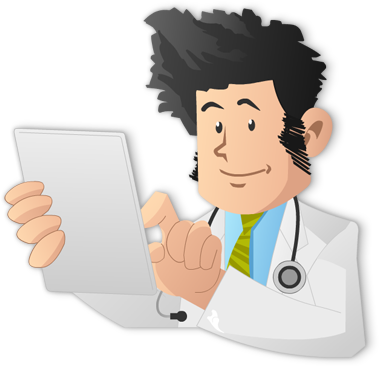 Over the past year, we have been working diligently to develop an Internal Medicine Flashcards platform. Now with weeks left before the New Year, we can say confidently that the Flashcards platform is almost set to launch! Before we get into why we are so excited about this as an addition to our Internal Medicine Learning Platform, we do have a lot of people to thank. To all of you that provided your input, time, and effort into building the platform and providing us feedback, we are so grateful! We have loved working together and are now thrilled to open this up to everyone! Without further ado…. Let’s talk about the Knowmedge Internal Medicine Flashcards. Your memory can only retain information for so long if the information is not reinforced regularly. The underlying premise of the Flashcards is to make sure you learn and retain key facts for clinical practice… and, of course, for your Board Exam. The platform takes your input and performance to determine the optimal time for you to review the same concept. That, in essence, is the concept behind the science of spaced learning…. Repeat key information before you forget them. The more often you practice and the more timely your practice…the better your retention. So how does Knowmedge Flashcards Platform help you retain information longer? 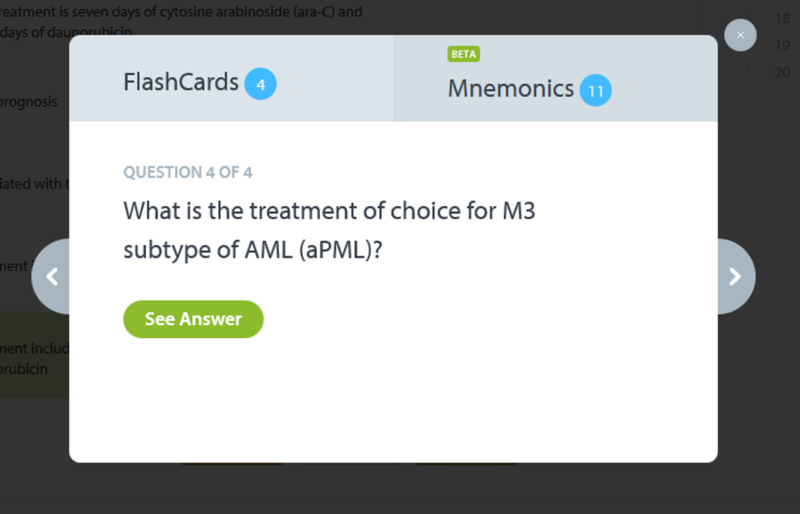 Through our algorithm that will not only tell you what flashcards to study… but also when to study them! Of course, you are not limited to a certain number of flashcards. The more cards you practice, the more the system learns about your performance and study habits… and the more effective of a personalized learning platform it becomes! 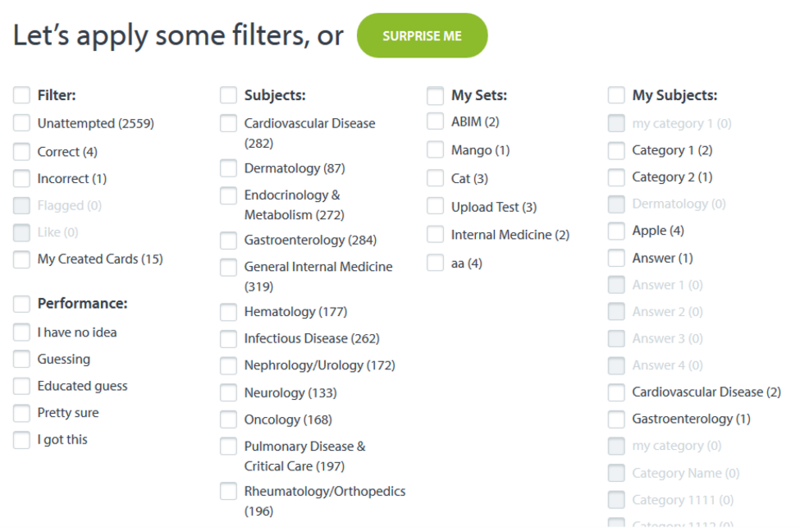 The platform was built to easily allow you to filter through the over 4,000 cards to choose from 12 different subjects to get the exact set of questions you want! Of course… you could also just let the system surprise you! Once you read the question and think of an answer, you’ll be asked to select your confidence level. This information will help the system determine when you will see the card again. You also have the option of flagging the question, liking it, and sharing it with friends! Once you select your confidence level, you’ll be shown the answer. Then simply tell the system whether you got the answer correct or not. Along with your confidence level, your input here will help determine when you see the question again. Once you select whether you got it correct or not, you’ll be headed to the next question! Once you select whether you got the answer correct or not, you’ll also see your history on the flashcard… when you last took it and whether you got it correct on not. You will also be notified of when you’ll see the card again! You also have the ability to share cards with your friends, provide feedback to the Knowmedge team, and see how your stack up against your peers on each flashcard. 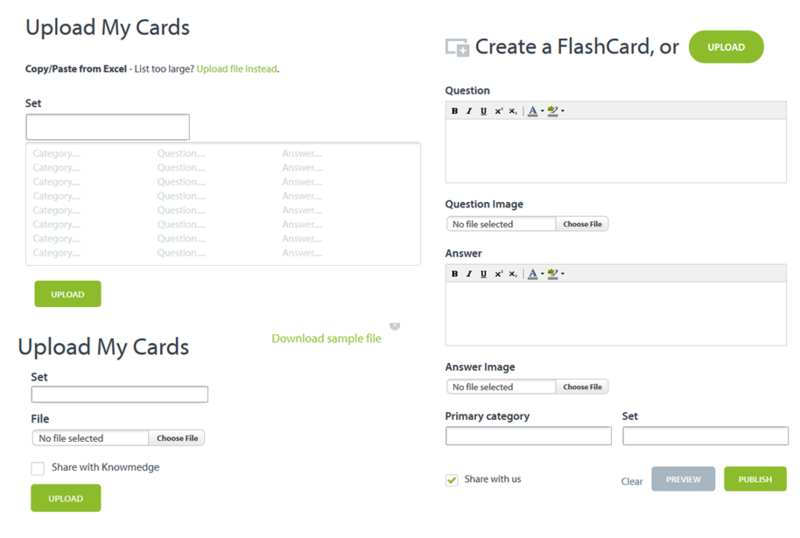 Once you create your own flashcard sets, you’ll be able to review, edit, or delete them altogether! 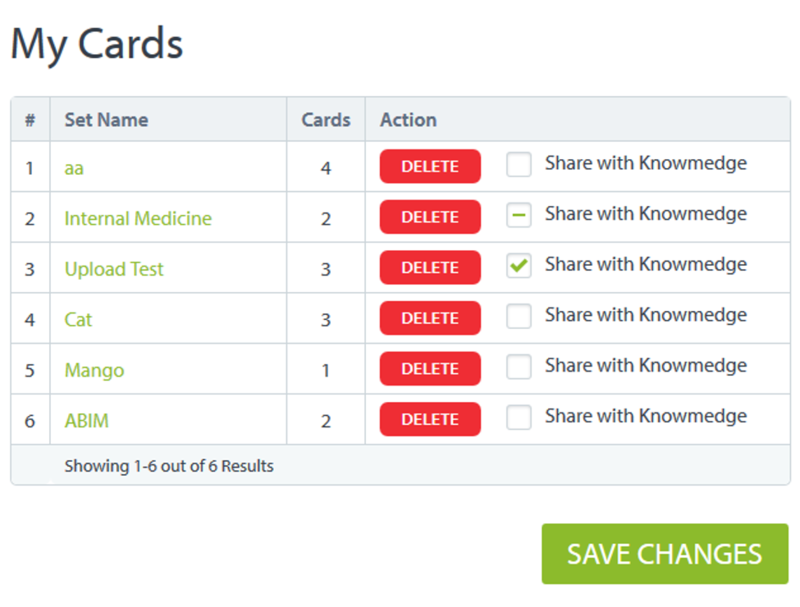 With the addition of Flashcards, Knowmedge now provides the ULTIMATE Internal Medicine Board Review. 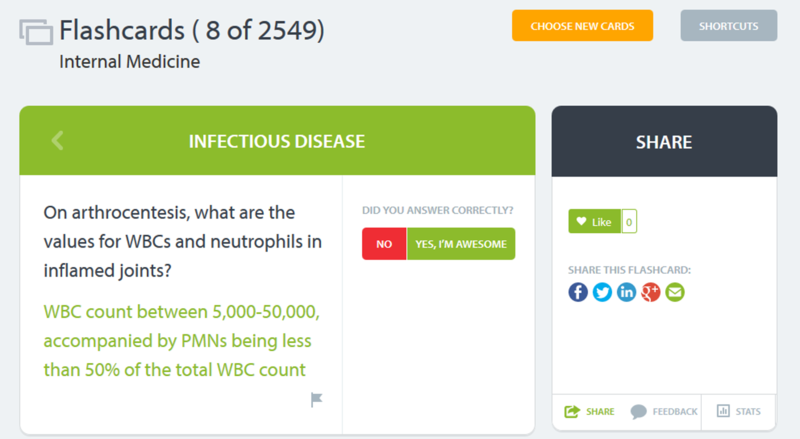 The Knowmedge Internal Medicine Learning Platform contains over 900 board exam questions and videos, along with over 2,500 Integrated Flashcards and over 500 Integrated Mnemonics! The Knowmedge Internal Medicine Board Review platform form allows you to learn the way you want… so you get the result you want! If it’s not clear by now (and it should be! ), we are absolutely committed to building the best learning platform for medical students. 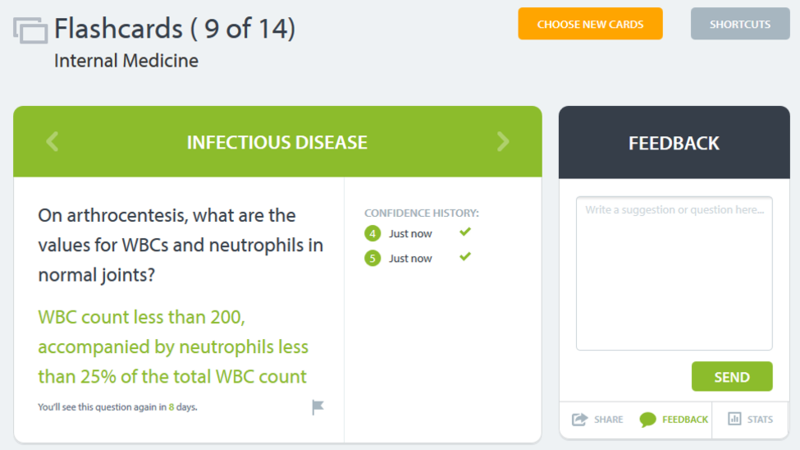 Knowmedge has evolved from a question bank into an all-out learning platform for Internal Medicine. We here at Knowmedge have always focused on and will always be focused on making sure we do whatever we can to give subscribers the best chance to pass. And with that we’ve put our heart into building a platform that gives you the power to decide how you want to study…. So you get the result you want! 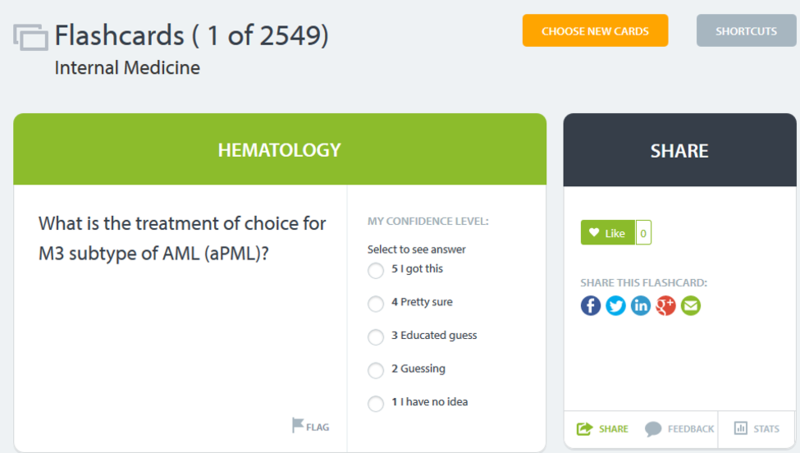 Whether it be through questions, videos, flashcards, or mnemonics, the Knowmedge Internal Medicine Learning Platform will give you all the tools to succeed on your boards! The price you ask? $39/mo. Is there an introductory price? You betcha! To repeat…. 10 dollars/month!. Or the cost of 2 fancy lattes a month from Starbucks! Why so cheap you ask? Well… the truth is… it won’t last! It’s a very limited time offer that won’t be repeated. We want to get feedback. learn from you and gather data. Once we have enough data gathered…the price will go up. 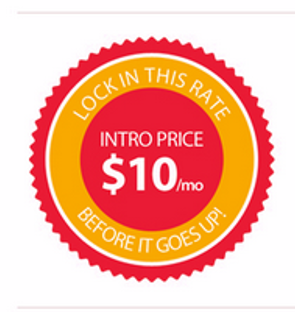 Keep checking back to see the launch date… and once we launch.. make sure to lock in your rate! It won’t last long!